Terka Acton, a White Garden volunteer, tells the story of this south London garden. 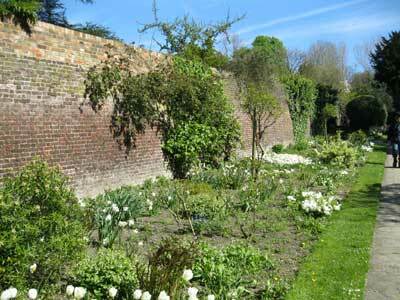 Streatham's White Garden lies between a walled Old English garden and a small orchard in the Rookery, once the grounds of a large house dating back to 1786, and now an historic Grade II listed public garden. The elegant double borders, backed by trees and climbers and edged with lawn, echo each other down the length of the garden, with white benches marking each end. Still the only white garden in any of London's public parks, the White Garden pre-dates Vita Sackville-West's famous grey, green and white garden at Sissinghurst by at least 30 years. Local volunteers under the leadership of Kew-trained designer Alison Alexander and project co-ordinator Charlotte Dove (both working for the Friends of Streatham Common, who successfully raised funding for the project from the Heritage Lottery Fund) carried out the recent restoration. The restoration was based on archival research and visits to other historic gardens, and is faithful to the spirit of the Arts and Crafts-inspired Edwardian original. Many of the plants in the new design have been chosen for their historical associations, including shasta daisy (Leucanthemum x superbum), ostrich fern (Matteuccia struthiopteris), and a white cultivar of the old-fashioned English rose, Rosa spinosissima – all plants that would have been as familiar to the leading lights of the movement, such as William Robinson and Gertrude Jekyll, as they were to the Edwardian gardeners who planted up the original garden. This is a serene place, much loved by visitors. But serenity is not the whole story – determination also plays a role in the history of this garden. Streatham residents fought a public campaign to rescue the Rookery grounds (the house itself was demolished in 1912) from the wave of suburban housebuilding that reached a peak in the years before the First World War. The gardens were laid out by Major Philip Maud of London County Council (LCC), and opened in 1913. The concerns surrounding cramped urban living conditions that gave rise to the public parks movement in the nineteenth century remain a reality today. Open spaces are a necessary release valve: an escape from the pressures of city life, and proven to have a positive effect on mental and physical health. It is no coincidence that the LCC designs for other public gardens designed in the period (including the Old English garden in nearby Brockwell Park) were also influenced by the Arts and Crafts movement: it was a style ideally suited to the purpose, being itself a reaction to the negative impact of industrialization, and an expression of nostalgia for an idyllic imagined past. Despite the pressures of the city, horticulture has long been part of this area's heritage, and for much of last century it thrived: amateur and professional gardeners alike participated in fruit and flower shows organised by newly-formed clubs and societies, well-maintained civic parks delighted visitors and residents, allotments flourished, and local nurserymen like John Peed of West Norwood produced lavish catalogues of the latest horticultural discoveries. As government funding for green spaces has decreased, however, gardens like the Rookery have suffered from reductions in maintenance budgets: as late as the 1970s, seven gardeners were dedicated to the Rookery alone, but today only two contractors are based there. Once again local residents have responded, developing community groups, volunteer-led projects and local fundraising, and working closely with the Lambeth Parks Service. 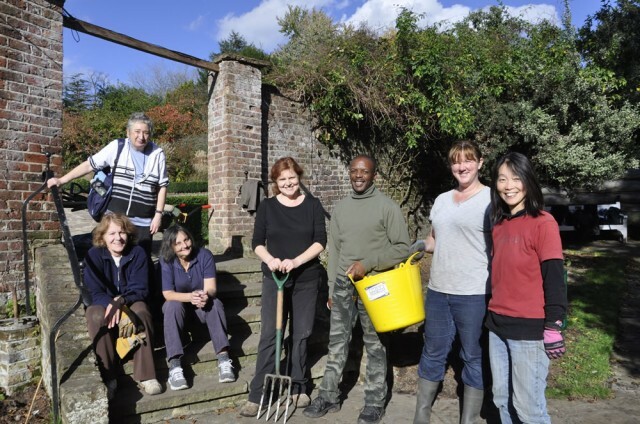 One such community group, the Streatham Common Co-operative (SCCoop), aims to take on the gardens and increase the number of gardeners. Applications for outside funding have been productive: most of the plants for the White Garden restoration were purchased with a grant from the Heritage Lottery Fund, with the Metropolitan Public Gardens Association providing a grant for new white roses. But resources are finite, and – in the best tradition of ecological planting – the new plants for the White Garden have been chosen to suit the prevailing conditions, and to flourish with minimal maintenance. 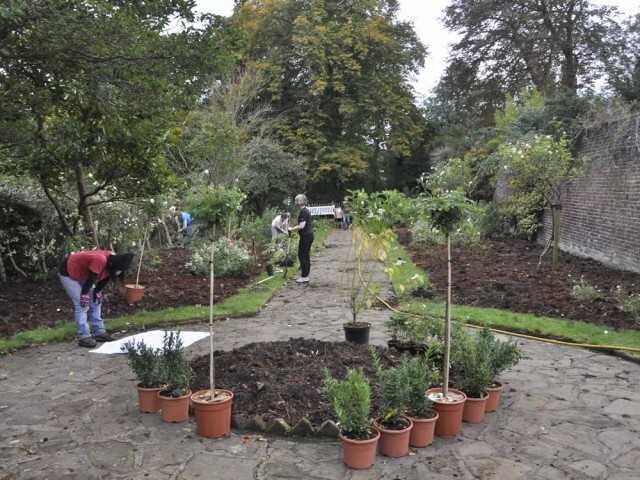 Gardens have always thrived on both innovation and tradition, and the restoration of the White Garden at Streatham Rookery is a tribute to those who are prepared to find new ways of looking after treasured open spaces.